Grandma’s iPhone – Media! Tech! Parenting! 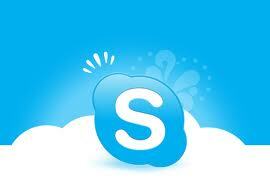 Over Easter weekend we’ll help my parents learn how to use Skype. When it comes to her iPhone, few learning difficulties have popped up for my mom, age 84. I am delighted at the ease with which she has transferred from her old flip phone to this one — a 3G that I retired when I updated my iPhone. Her first lesson focused on typing in her contacts, and she caught on right away and also understands how to make a call using the contacts app. The visual cues on the iPhone screen are terrific. She loves being able to sit in a comfortable chair and play solitaire — no lessons required for this! She enjoys using the speaker feature rather than holding the phone up to her ear. She likes to use Safari anytime and anywhere when she wants to look something up, though like me, she is sometimes frustrated when the phone is slower because there is no wi-fi. She is starting to use the map app. Our family communication is so much better with this phone and those visual cues. I think over this coming Easter Weekend (2012) we will set her up with a Skype account. Then we can chat with my cousin and follow-up with subsequent video calls. I’ll report back on how it goes. And of course, there is the issue of helping people get up to speed. Here’s post I wrote on my other blog about how technology is always a two-part gift — the gadget itself and also the time invested in helping a grandparent learn how to use it. Previous Post Staying Power — Is there Such a Thing Anymore? Next Post Your Brain is the Final Spell Checker!